Here at Pipedrive we know that the goal of any sales team is growth. However, being able to get your awesome products or services into the hands of new customers is often just as challenging as selling them in the first place. Most sales managers know that while more hands on deck means more manpower, it also means more cracks where valuable deal information can leak through. This becomes especially problematic when handing over won deals to the teams who take over once a sale has been made. 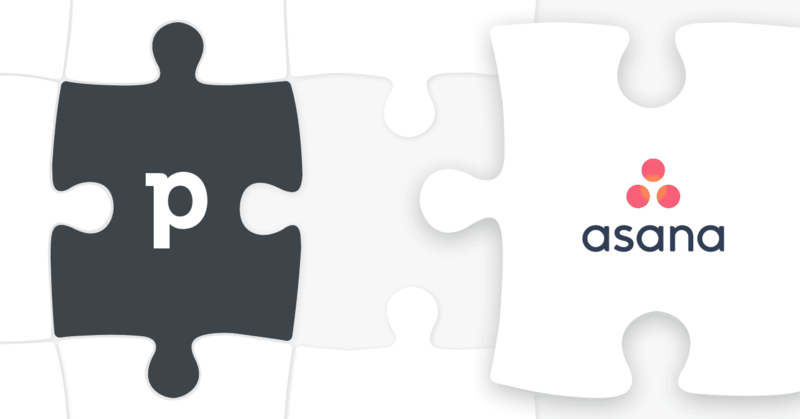 This is why Pipedrive’s latest integration with Asana, one of the web’s most successful project management tools, is an ideal solution to this all-too-familiar scenario. Your sales team just closed a great deal: 200 pounds of pumpkin spice mix to your local Starbucks franchise. They’re pretty buzzed about the big win and ready to get the product delivered to their new client, but there’s just one teeny tiny problem. The outbound logistics team doesn’t use Pipedrive. Instead of moving on to new deals, the sales team needs to brief the logistics team, who happen to find Asana a more suitable tool for their team. Once received, they would also need to manually create and schedule tasks before being able to start shipping out. NOTE: If this sounds tedious to you, that’s because it is. 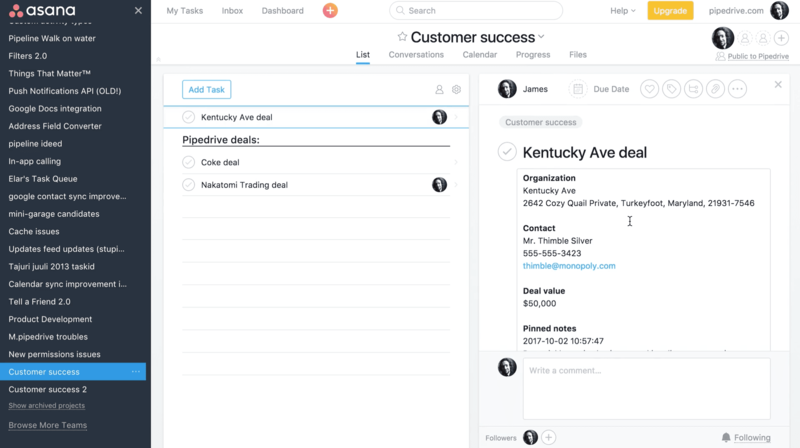 Instead of fumbling around with spreadsheets and documents, this latest integration will eliminate the messy manual transfers and automatically turn Pipedrive deals into Asana tasks. And here comes the best part: how you configure this automation is also entirely up to you and your team! Depending on how you use your pipeline, you can customize the Asana integration settings to generate tasks when a deal is lost, won, or moved to different stages. Not only can you configure tasks based on actions in Pipedrive, but you can also configure Asana settings like default assignees or whether you want the deal transferred into a task or project. As you probably know already, multichannel integration is no easy task, and with this latest add-on you’ll be able to focus more on delivering value to customers and less on pesky paperwork (even the digital kind). For more information on how to get started you can check out our detailed support page here.